esbs has agreed a sponsorship deal with a local youth cricket team. The Society has pledged support to Barwell Cricket Club, which plays its home matches off Kirkby Road in the village. The sponsorship package will span a three-year period, with help towards the cost of new, esbs-branded shirts for the club’s under 11s and under 13s teams, and also to provide additional playing uniforms. Founded in 1807, Barwell Cricket Club is a non-profit organisation affiliated with the England & Wales Cricket Board via the Leicestershire & Rutland Cricket League, and is overseen by a committee that is elected at each Annual General Meeting. Its vision is to encourage more people, of all ages and genders, within the local community to get involved in playing cricket, and lists the development of its junior teams among its core values. Geoff Hines Snr. is the club’s current Chairman and Junior Co-ordinator. “It’s really great to be able to provide the youngsters with the proper kit,” he said. “Not only does this help the team members to bond with each other, but it means they’re able to look the part too. “We feel it is very important to look after the junior members of the club and we view this as a real investment in our future. The under 11s side topped the South West U11 Incrediball league last season, and the under 13s finished fifth in South U13 B.
Geoff continues: “To anyone who is thinking about playing cricket, I would urge them to come along to a training session as everyone is welcome. 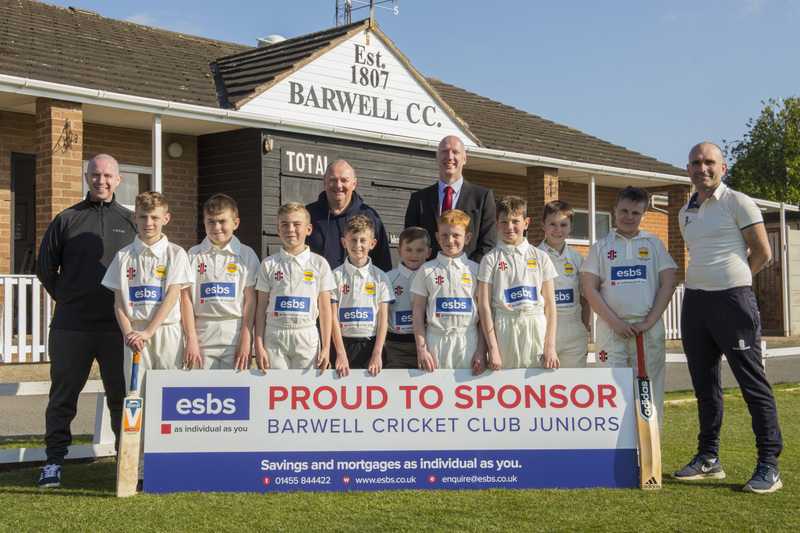 Paul Tilley, Chief Executive of esbs, said: “We are thrilled to be sponsoring Barwell Cricket Club. “Sport is a fabulous means of bringing people with shared interests together, and Barwell is lucky to have such a well-established and respected cricket club. The under 11s and 13s teams train every Friday at 6pm at the club’s ground on Kirby Road, Barwell, LE9 8FR. To find out more about Barwell Cricket Club, visit https://barwellcc.co.uk/.